Entry details for all competition teams and provisions for registering for selection are placed on the Clubhouse Notice Board. The Club enters both Mixed, Men’s and Open teams in the Eastern Regional Tennis Association (E.R.T.) competition for both Summer and Winter seasons. There is a wide range of standards in this competition. For further information please contact the Senior Convenor. This competition is open to Senior and Approved Junior members. Teams are entered for both Summer and Winter competitions with MEMRLTA, (Tue), FTGDLWTA (Wed, Thur) and EDWTA (Wed). A wide range of standards is catered for and further information may be gained from the Midweek Ladies Tennis Representative. See the Committee page for contact details. Further information on MEMRLTA website. Further information on FTGLWTA website. Pennant teams are entered by the Club on a season by season basis if sufficient interest is expressed. Contact the Club Coach for details. This competition is open to both Senior and Junior members. Night Tennis is offered to all our members who are interested in playing competition in the evenings. This is in affiliation with the Lilydale and District Night Tennis Association. Monday is Ladies doubles night, Tuesday is Men’s doubles whilst Thursday nights are taken up with an Open Sets doubles competition (teams comprise any combination of men and/or women) and a Singles/Doubles competition. All matches are played at alternating home & away venues. There is a nightly fee of $10.00 per player ($40.00 per team). Any new teams require to fill a Team Nomination Form (this can be download from LDNTA website – www.ldnta.org.au) and then forwarded to our Night Tennis Club Representative prior to every new season. A intra-club competition is conducted during ‘twilight’ in summer for men on a Wednesday night. 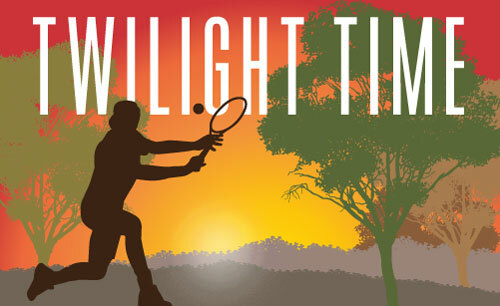 For further information please contact the Twilight Men’s Tennis Representative. Many standards are catered for in the Eastern Region Tennis Junior competition on Saturday and Sunday mornings. Both singles and doubles competition is available. The Club encourages parents to take an interest in the development of junior tennis and those whose children are selected in teams are expected to assist with supervision at home courts and transport to away courts when rostered to do so. Ladies, mens and mixed social tennis is held regularly. For further details contact the Club Secretary and watch the Notice Board. Ball fees are charged to all competition players at the commencement of each season to cover the high cost of tennis ball purchase. Rule books and used tennis balls are available and can be purchased from the Club.